Test conditions: water source side water inlet temp is 15°C,initial temp of hot water is 15°C,terminal temp is 55°C. If the outdoor temperature drops to a level lower than minus 10C (factory setting), the auxiliary heater (compressor electric heater) switches on to ensure the heat pump unit works normally. The heat pump controller is an intelligent wired system. The Material/components are chosen to provide a long service life and to fully withstand harsh outdoor conditions. 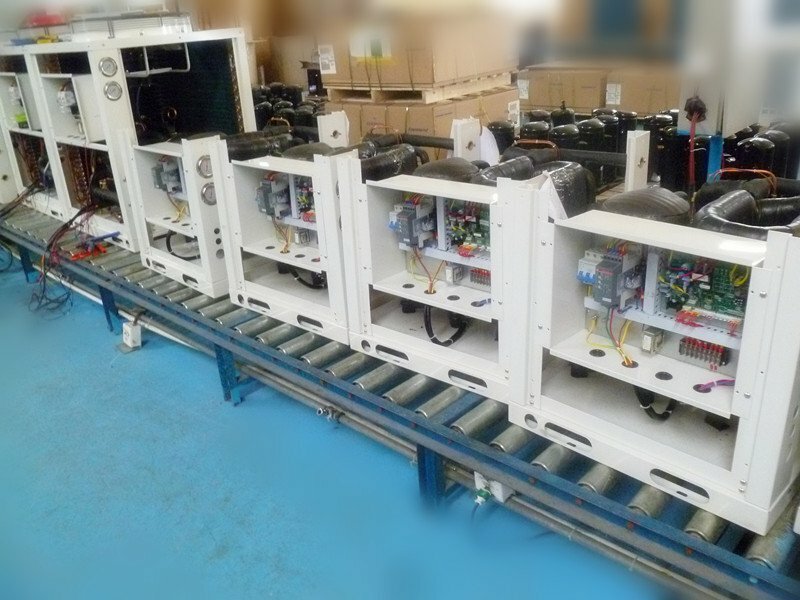 Unbelievable price on Heat pump water to water CLITECH 60HZ (7KW 11KW 14KW) in Foshan (China) company Foshan CliTech Air-conditioning Equipment Co., Ltd.